Heiser Automotive Group is one of Wisconsin’s longest and most successful established automobile dealership groups. They have new vehicle franchises for Ford, Lincoln Mercury, Toyota, Scion, Chevrolet, and Cadillac. 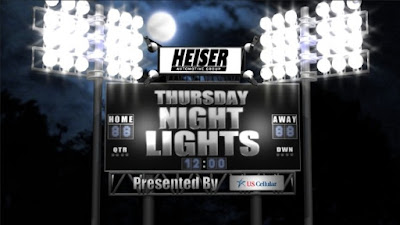 The Heiser organization was co-founded in 1918 by Walter Heiser. The original dwelling, located on 7th and Wisconsin Avenues, sold Model T Fords for $345. People traded in their carriages, wagons, even horses towards the purchase of their first car. Heiser earned a reputation of integrity during the post-war vehicle shortage. Heiser maintained a strict “first come, first served” delivery list, which was not easy to adhere to. When mass production resumed and vehicles were plentiful, customers remained loyal. 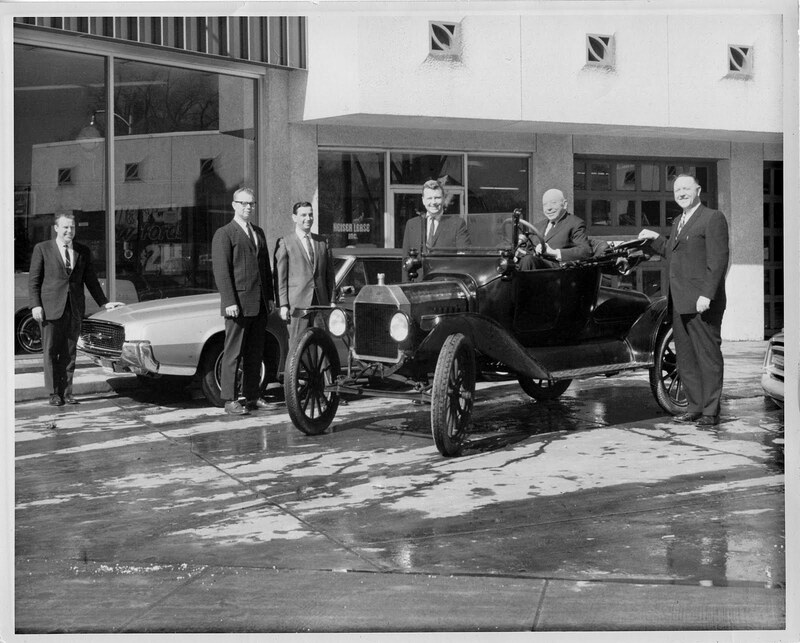 Also, during the three years before World War I, Heiser was responsible for one quarter of Milwaukee Ford Sales. Pre-1917: Walter M. Heiser was employed by Ford Motor Company at the factory showroom located on the corner of Prospect Avenue and Kenilworth Avenue, on Milwaukee’s East Side (Now UWM.s housing for graduate students). March 1917: Mr. Heiser and Mr. Knetter established Knetter-Heiser Ford, on State Street, between Milwaukee Street and Broadway Street. A short time after, they moved the dealership to 51st Street and Lisbon Avenue, on Milwaukee’s West Side. 1932: The dealership moved briefly to Lisbon Avenue before settling in 1932 on North and Prospect Avenue after Mr. Heiser bought out Mr. Knetter’s interest in the dealership. The dealership remained at this intersection for seventy years. 1938: Mr. Walter Andrews came on with Heiser as the General Manager, and was a key to their continued success. 1973: Walter Heiser Retired. 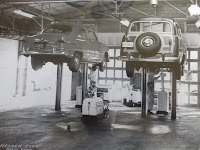 Scaffidi, who was then the Used Car Manager, purchased the company’s stock with the help of the Office Manager, the late Milton Berdelman, and the Sales Manager and son of the founder, William Heiser. 1977: Heiser bought Galls Lincoln-Mercury in Menomonee Falls. 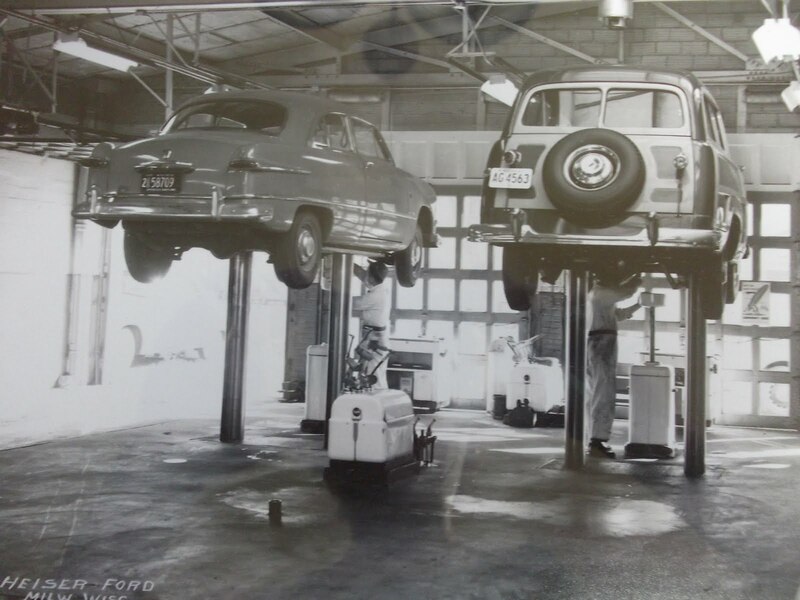 It was unusual for Ford Motor Company to allow one dealer to have two franchises in the same city, but Scaffidi persisted, and it paid off. 1980: Several years after buying Galls Lincoln-Mercury, Heiser opened a Toyota Dealership in Thiensville. After McBain Lincoln-Mercury went out of business, the Heiser Company bought the building and moved their Lincoln-Mercury dealership from Menomonee Falls to North 76th Street. They proceeded to build a new building to house the Toyota dealership on 76th Street. 1986: Heiser purchased an additional Ford franchise and built Northpoint Ford on 76th Street. Heiser Toyota also moved from Thiensville to 7800N. 76th Street. 1990: Heiser purchased Selig Chevrolet in West Allis. 2002: Heiser Ford built a new building and moved to Silver Spring and Green Bay. 2003: Heiser Ford moved from Prospect & North Ave. and relocated at 1700 W. Silver Spring Drive in Glendale. 2005: Heiser purchased Heiser Chevrolet Cadillac in West Bend. 2007: Heiser Lincoln Mercury merged with Heiser Ford to form Heiser Ford Lincoln Mercury. 2008: Northpoint Ford moved into the old Heiser Toyota building on 76th Street and the Corporate and Central Offices relocated to Heiser Ford. Heiser strives to focus on keeping long-term relationships with all customers, not just one-time transactions. At Heiser, we are strong believers in the fact that trust is built on performance. 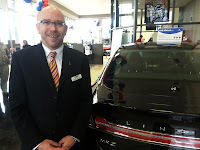 That is exactly what Heiser is working on in different departments of the dealership. All customers should be treated with integrity and care; Heiser makes a point to show that customers matter and is trying to improve even more in this area. Customer retention has become one of Heiser’s main focuses. Every day the car trade changes and Heiser is prepared to change with the current, to satisfy all customer needs. In the future, Heiser plans on focusing on keeping long-term relationships, building a trustful relationship with our customers, and being able to change accordingly to satisfy customers. I hope you enjoyed reading about our rich history. Great article!! Glad to see you were able to use the picture I found of the service dept.